Under Trump’s orders, ICE has increased mass deportations. The Trump administration insists that local law enforcement bodies must help ICE in these efforts, or lose federal grant moneys. But Sacramento, like many other localities across the U.S., continues to be a “sanctuary city” that refuses to collaborate with ICE. The number of undocumented immigrants living in Sacramento is estimated to be 56,000. 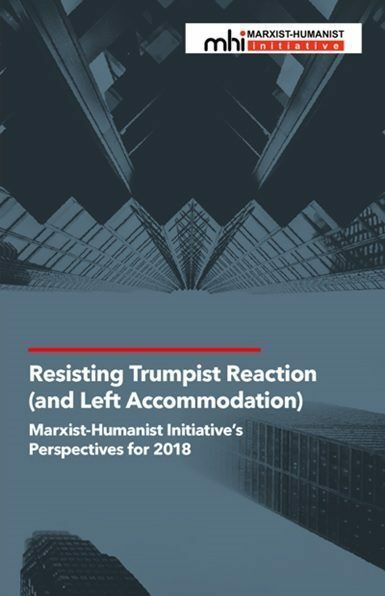 Marks also drew comparisons between the “populist” Nazi regime and the immigration policies of the “populist” Trump regime. He noted that, “for no other reason but for being Jewish, I was hauled off by the Nazis,” and that the reason he was imprisoned in concentration camps for 5 and a half years was that Hitler’s regime “picked on people.” ICE is likewise picking on people, as Marks noted, sometimes hauling off Mexican and other immigrants for no other reasons than their nationality and undocumented status. Marks’ comments and warning were met by loud applause. A video clip from the meeting shows a couple of “populists” in the audience expressing their “economic distress” by covering their ears in response. 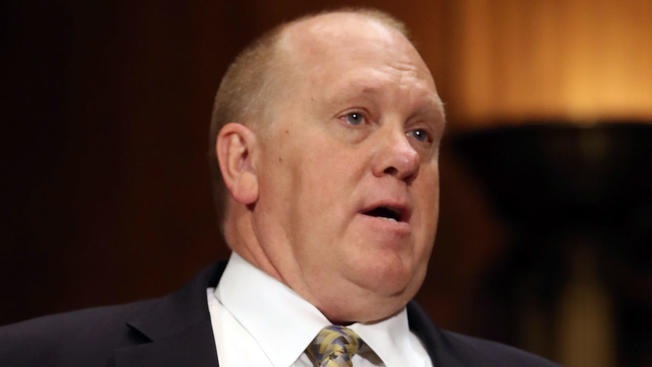 Thomas Homan, who Trump appointed as acting Director of ICE two months ago, lashed back in the exact manner that “populist” Adolf Eichmann employed to defend himself before he was hanged. This is “a country of laws … laws that I’m going to continue to enforce––because that’s my job,” Homan said. Eichmann, a top bureaucrat in Hitler’s “populist” government, oversaw the Nazis’ forced deportation policy. 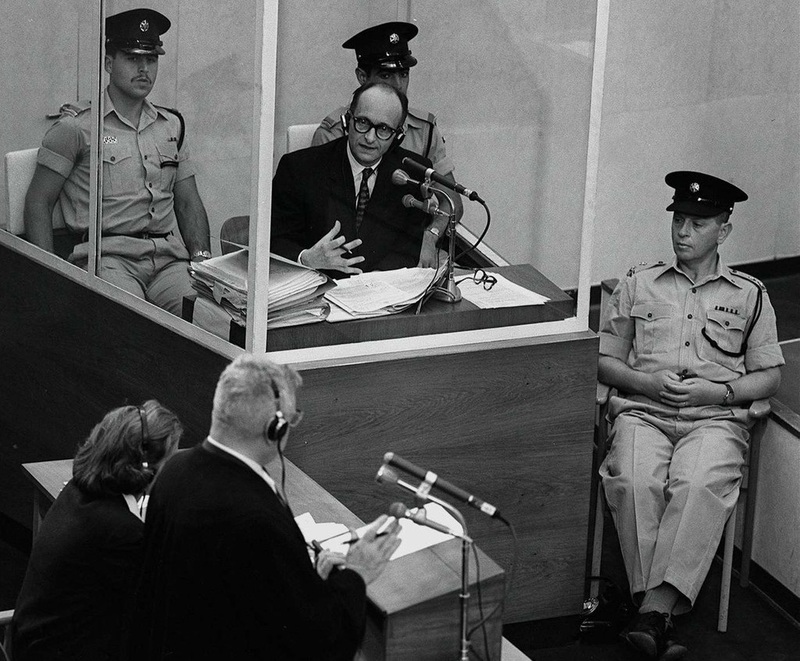 When the government of Israel put him on trial in 1961 for crimes against humanity and the Jewish people, Eichmann defended himself on the grounds that he was only following orders. “I had to obey,” he declared repeatedly. When pleading for a pardon, he wrote, “there is a need to draw a line between the leaders responsible and the people like me forced to serve as mere instruments in the hands of the leaders. I was not a responsible leader, and as such do not feel myself guilty.” During his trial, Eichmann stated that he had to help carry out Hitler’s “final solution,” the extermination of the Jews, because he was bound by an oath of loyalty. Trump also values loyalty. In his poorly-attended “populist” inaugural speech, Trump stated, “At the bedrock of our politics will be a total allegiance to the United States of America, and through our loyalty to our country, we will rediscover our loyalty to each other.” The very next day, the Resistance against him disloyally erupted in worldwide Women’s Marches that attracted four to five million participants. Several of the charges against Eichmann were specifically about his “populist” deportation actions. He caused the enslavement, starvation, and deportation of millions of Jews; deported a half-million Poles; deported 14,000 Slovenes; deported tens of thousands of “Gypsies” (Romani people); and deported and murdered 100 Czech children from the village of Lidice. He was found guilty of these and all other crimes he was charged with, and was hanged on June 1, 1962. Philosopher Hannah Arendt coined the term “banality of evil,” which appears in the subtitle of her book on Eichmann’s trial. 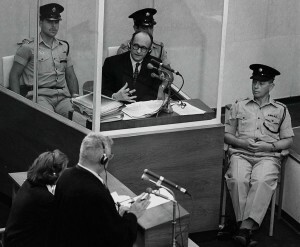 It is an attempt to understand the mentality of Eichmann, and of people like the acting ICE director, who regard their criminal behavior as justified because they are “just doing their job.” Arendt has been criticized for over-emphasizing this “banality” of Eichmann’s as an explanation for his crimes, while downplaying his virulent anti-Semitism. I suspect that both sides are right: Eichmann was a virulent anti-Semite (“populist”) who also regarded his criminal behavior as justified because he was just doing his job. 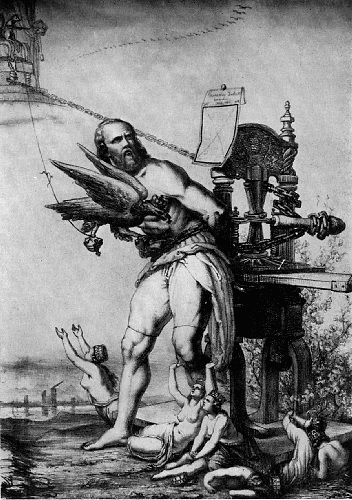 In any case, history was not on his side. 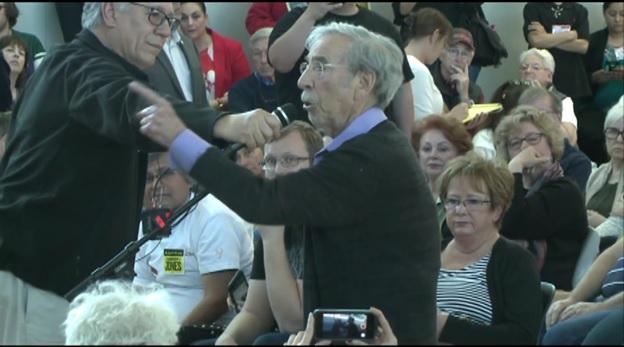 Let us do what we can to fulfill Bernard Marks prophecy and see to it that history is not on the side of Trump, Homan, ICE, and Sacramento’s sheriff.